A study shows peppermint oil is an effective way to stimulate new hair growth and thickness. The results also indicate that peppermint oil may even work better than minoxidil using it for hair regrowth. There are hundreds of research results on Peppermint oil and its amazing benefits. But did you know you can use peppermint oil for hair growth since it contains growth-inducing properties? The latest research conducted by the Korean Society of Toxicology shows the remarkable before and after of new hair growth results using peppermint oil, which we cover in this article. Towards the end of this review, we will also give you 3 easy-to-try peppermint oil hair growth recipes for extra scalp stimulation! What are the best oils for hair growth and thickness? If you are looking for hair growth oil that works and lean towards natural hair loss remedies to cure alopecia, essential oils are no doubt one of the most popular alternative treatments, especially in the year of 2017. We recently published a number of related articles about the effects of some of these essential oils, including rosemary oil for hair regrowth, as well as its recipe for treating thinning hair (read the main causes of hair loss here). Our latest addition to the best oils for hair loss list is peppermint essential oil. Why? The research below shows remarkable benefits which are not only for preventing hair loss, but also stimulating hair growth. The best part? Results can be seen in as early as 2 to 4 weeks according to the study. Before we get into the details of peppermint oil for hair growth, let’s briefly go over benefits in general. 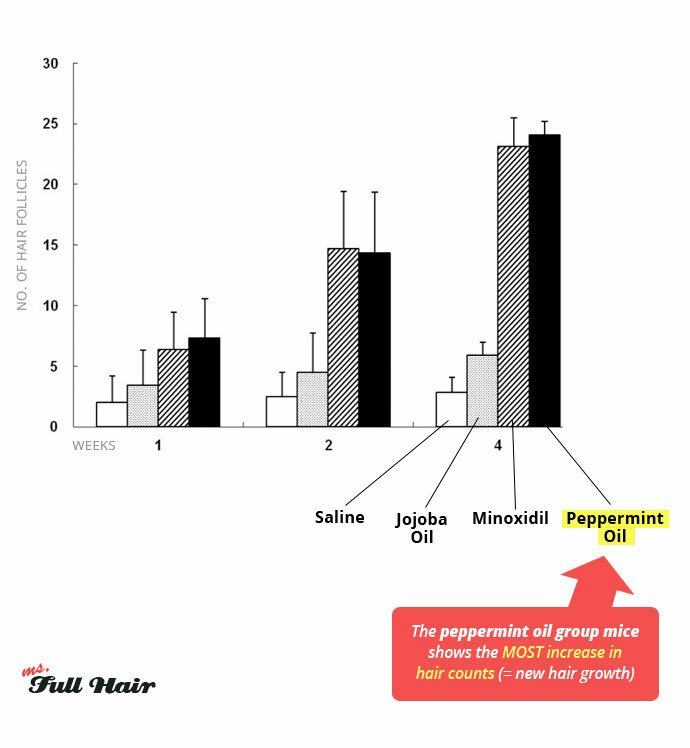 The below list shows the top 22 peppermint oil uses and generally what it is good for. As you can see, there are various health benefits of peppermint oil to improve your daily lives. There are already a number of well-known benefits of using peppermint oil for hair. Removing dandruff and itchy / flaky scalp is definitely the most obvious benefit. This explains why many organic shampoos designed for preventing dandruff, itching, and flaking are often formulated with peppermint oil or menthol as one of the active ingredients. When it comes to using peppermint essential oil for hair growth, the research shows that peppermint oil has a natural property of inducing the extended anagen (hair growth) phase, stimulating new hair growth, increasing hair thickness, and even elongating follicle depth. The study also shows that using peppermint oil for hair loss may even work better than Minoxidil – the FDA-approved topical treatment (also known as Rogaine). There was research published by Korean Society of Toxicology in 2014 about the effect of using peppermint essential oil for stimulating hair growth in mice. Mice were randomly divided into 4 groups and the following ingredients were topically applied to each group for 4 weeks. 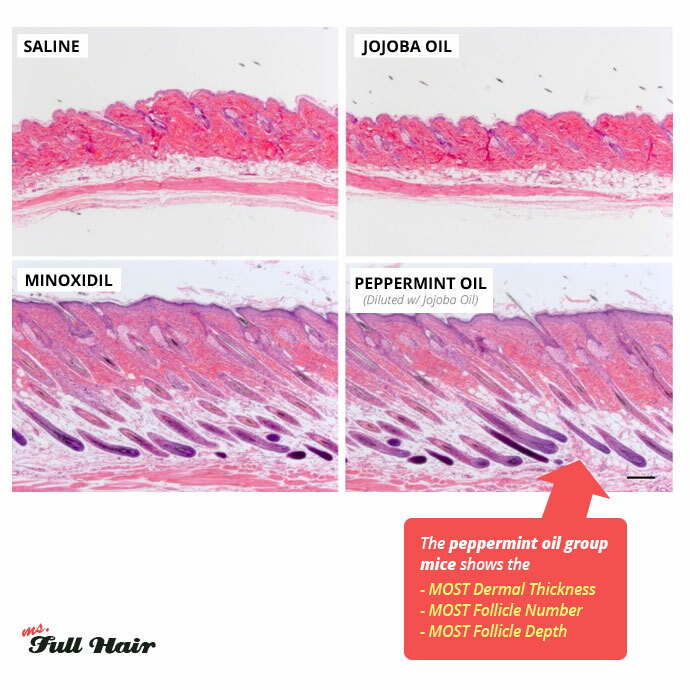 For this peppermint oil hair growth study, the topical treatments with the amount of 100 μl (100 microliter) were directly applied once a day, 6 days a week for each group. This weekly regime continued for 4 weeks. How were the study results measured? What was the result of peppermint oil for hair loss? 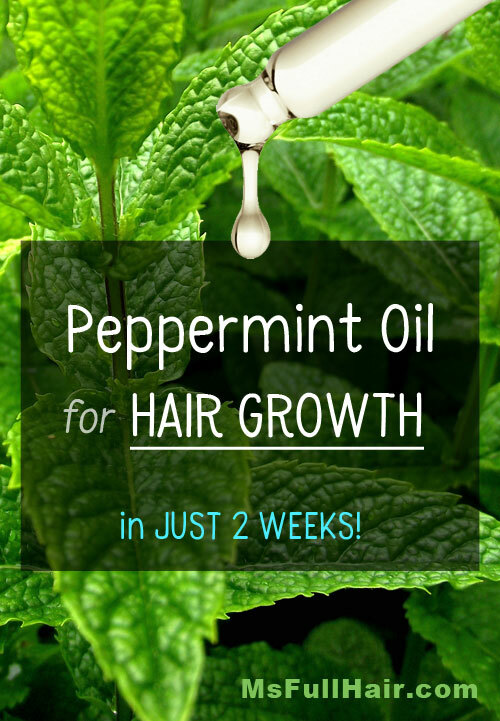 They also note that the group 4 (peppermint oil topical application group) showed a RAPID increase in hair growth starting from week 2 in terms of hair count, depth of the follicles and hair thickness. As you can see the improvement differences among those 4 groups are HUGE! See the BIG difference among the group: follicle numbers and depth, dermal thickness. 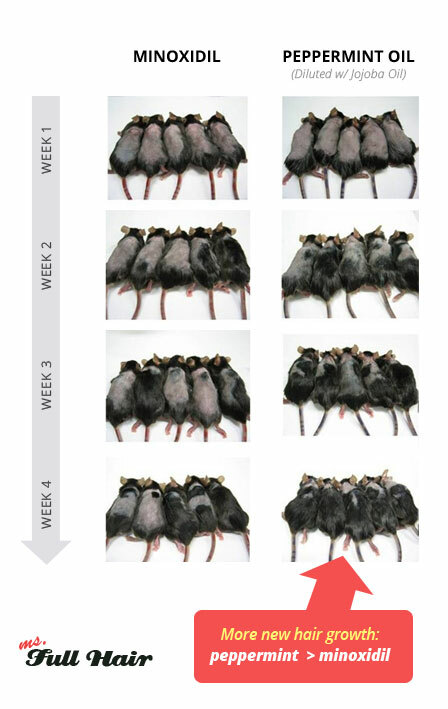 The comparison photos show that the peppermint group mice experienced the most positive results. 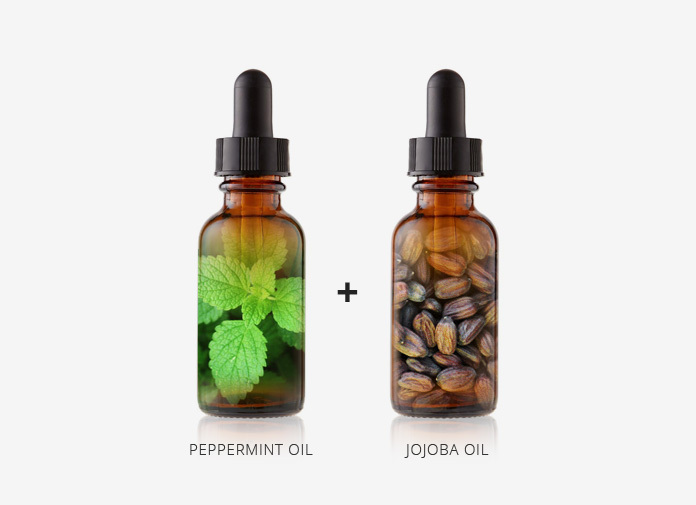 If you compare group 2 (Jojoba oil) and group 4 (Peppermint oil + jojoba oil), the result makes it very clear that peppermint oil plays a crucial role for stimulating hair growth, compared to jojoba oil alone. 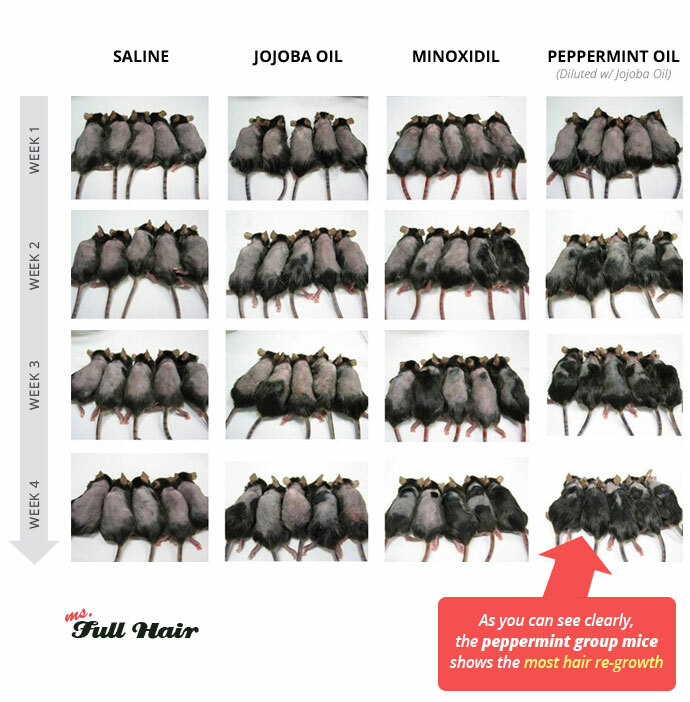 If you compare group 3 (Minoxidil, also known as Rogaine) and group 4 (Peppermint oil topical application), it shows that Minoxidil worked fine in some mice, but not for all. It didn’t grow any hair on other mice. 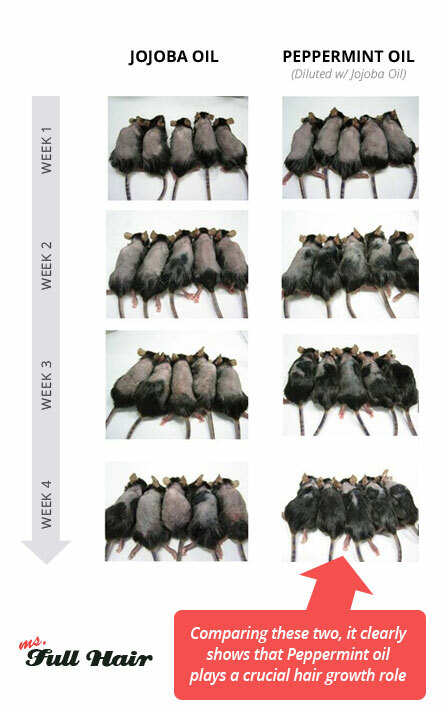 On the other hand, ALL of the mice from the Peppermint oil group showed significant hair growth. What does this study result mean? The research team concluded that their study proves the positive effect of using peppermint oil on stimulating hair growth. It promotes very long and thick hair only after 4 weeks of topical application. In addition, the peppermint essential oil promoted deeply rooted follicles (elongation of hair follicles) which make hair growth more stable by inducing the rapid Anagen phase (aka hair growth phase). It shows quick results: First, what‘s appealing about this study result is the shorter duration (which only lasted for 4 weeks) while still providing very noticeable improvement. Similar types of alopecia-related hair growth studies using essential oils usually take at least 8+ weeks for visible effects. 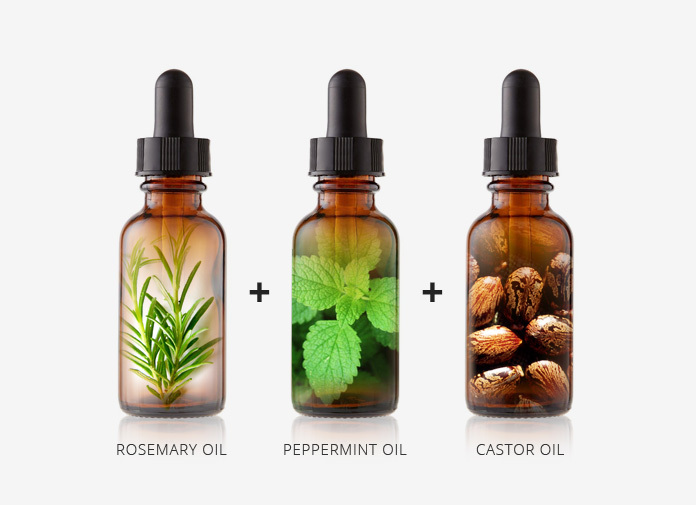 Pure essential oil is the key: Also, if you want to try a similar peppermint essential oil for hair growth experiment (whether it’s female or male pattern baldness), make sure the oil is 100% pure and organic, since the researchers used a 100% pure version for their tests (we will cover 3 peppermint oil recipes for hair below). For hair and scalp: There are no major side effects reported for using peppermint oil for hair; however, too much peppermint oil on scalp can lead to skin irritation. This is the main reason to use a carrier oil in a recipe for peppermint oil for hair loss to help absorption without the irritation. General side effects of peppermint oil (for other uses) include the following: Skin rashes, heartburn, mouth sores, allergic reactions, dizziness, and possibly diarrhea. First, can I also apply peppermint oil directly on scalp? It’s important to note that you should NOT use peppermint essential oil alone. The research team mixed peppermint oil with jojoba oil which acts as a “carrier oil”. 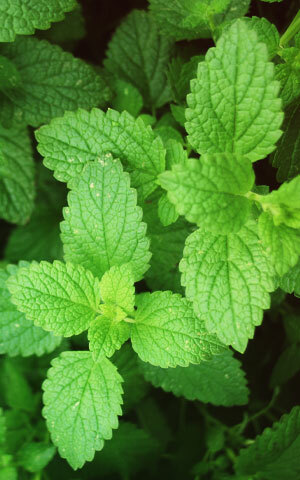 Using essential oils such as peppermint oil alone can be potent, so they are usually mixed with carrier oils (such as jojoba oil, castor oil, olive oil, coconut oil, grape seed oil, and argan oil) to reduce irritation when it contacts the surface of your skin, while still carrying active ingredients. 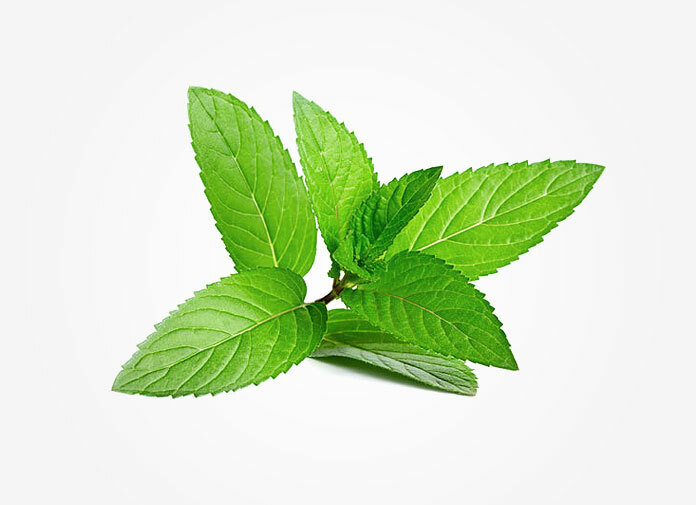 A tingling scalp sensation is expected since the active ingredient in peppermint is menthol. How to use peppermint oil for hair growth? 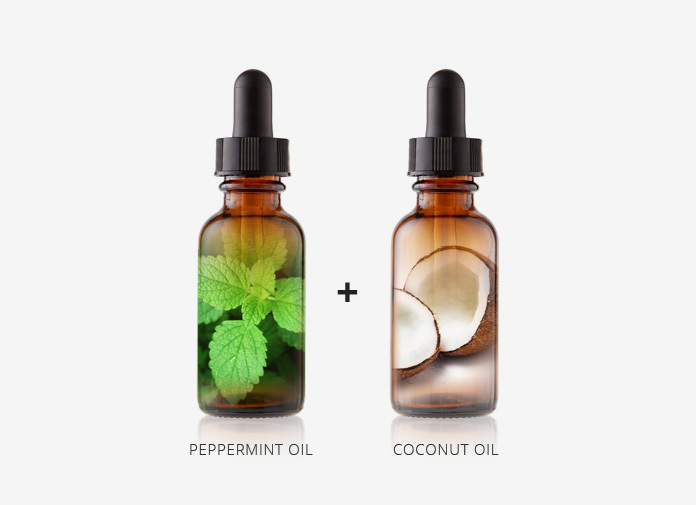 Below shows 3 best peppermint oil hair growth recipes to try. Each recipe is designed to stop hair loss and stimulate new hair growth using popular essential oils. Feel free to increase or decrease the mixture amount following the same ratio. For instance, if you want to double the peppermint essential oil to 18 drops, increase the rosemary oil to 18 drops and castor oil to be 8 teaspoons. If you feel castor oil is too thick, feel free to replace it to other carrier oils such as coconut oil, argan oil, grapeseed oil, or jojoba oil (What the researchers from the peppermint hair growth study used as a carrier oil). 2. Apply the oil mixture to the thinning hair spots. If you have diffused thinning all over the scalp, apply it to the entire area. Where to buy peppermint oil and what brand offers the best peppermint oil for hair? It’s very important that you buy 100% pure peppermint oil for maximum benefit. There are multiple vendors you can buy peppermint oil from including Walgreens, Jet, and of course Amazon (which, as usual has the most options to choose from). Our recommendation after reviewing company backgrounds and overall customer ratings is Majestic peppermint oil. It is a solid option to use for your hair growth. Their therapeutic grade oil is 100% pure with no additives, no filtering, or no watering-down, which is exactly what is needed for stimulating hair growth. If you are looking for natural hair loss remedies to treat your thinning hair at home, 100% pure peppermint essential oil is a great option backed by solid research. 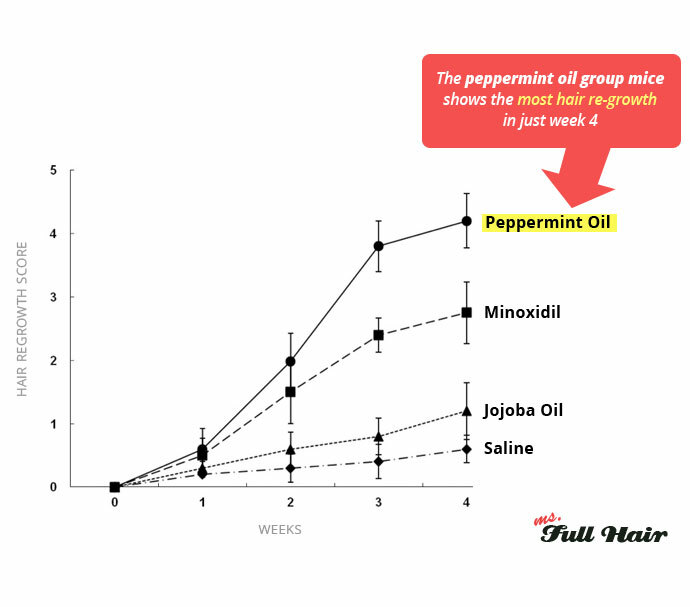 The above study clearly shows the power of peppermint oil for hair growth and preventing further hair loss. The study result indicates that menthol, the main active ingredients of peppermint oil, is packed with everything you can ask for getting your old hair back – increases in hair thickness and hair count, and deeply rooted follicles for healthy and stable hair growth. Have you used peppermint oil for hair loss? We would love to hear your experience! Thanks soooo much for the recipes! I was desperately looking for effective essential oils for hair loss and came across your site. I am not a big fan of using coconut oil when it comes to applying on hair, because of its sticky gooey texture. Will try out the #3 (with the castor oil) and will report back within a month! Also, which one works better for thinning hair? Black castor oil or just regular castor oil? I’ve heard a lot about black castor oil working wonders, but confused what the difference is between those two. Great article ! But I would like to point out that 9 drops of Peppermint oil with 2 Teaspoon of Carrier oil doesn’t make it 3% Peppermint oil. I think it should be around 6 drops. Cheers !